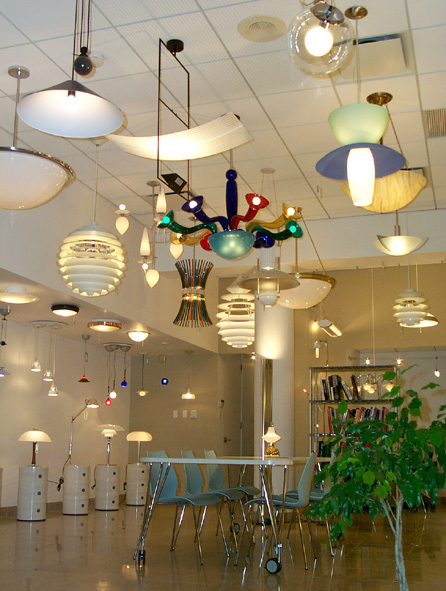 To better serve and inform design professionals San Juan Lighting offers a comprehensive and resourceful showroom facility to experience first hand a broad sampling of our represented lighting manufacturer's products. Our showroom also provides a comfortable atmosphere where the visitor can sit and calmly study all product offerings from our lines through printed catalogs and brochures. Available to the visitor is an extensive lighting design library which covers general design guidelines, design codes and standards. Open Monday to Friday from 8:00am to 5:00pm.